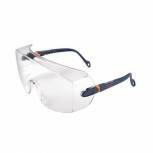 Kansas Anti-Mist Safety Spectacles Clear BBKS Pack of 1 Proforce safety wraparound spectacles with scratch resistant polycarbonate lens and moulded nose piece for comfort. Features protective side shields and adjustable arms for improved fit. Conforms to EN166 1F. 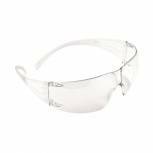 3M SecureFit Safety Spectacles SF200 Clear DE272967311 Pack of 1 3M SecureFit Safety Spectacles SF200 Clear DE272967311. Rimless clear polycarbonate lenses. Fixed length temple arms with 3M Pressure Diffusion Temple Technology for reduced pressure over the ear. Anti-scratch and anti-fog coatings. 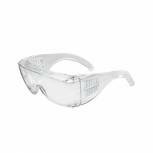 3M SecureFit Protective Eyewear Clear SF201AS-EU Pack of 1 3M SecureFit Protective Eyewear Clear SF201AS-EU. Rimless clear polycarbonate lenses. Fixed length temple arms with 3M Pressure Diffusion Temple Technology for reduced pressure over the ear. Anti-scratch coating. 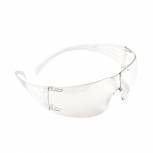 Seattle Safety Spectacles Clear BBSS Pack of 1 Ultra lightweight safety over spectacles with panoramic impact resistant polycarbonate lens and side shields. Conforms to EN166 1F. 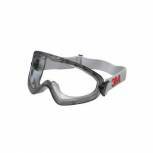 3M Safety Goggles Clear 2890S DE272934055 Pack of 1 3M 2890S Safety Goggles. 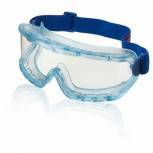 Sealed safety goggles with polycarbonate lenses provide protection against liquids, dust, gases and vapours. Features anti scratch feature and UV protection. Ideal for construction and laboratories. 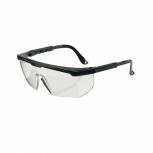 3M Classic Line Over Spectacles 2800 DE272934360 Pack of 1 3M Over Spectacles. Designed to fit over most prescription spectacles with minimal interference. They offer an excellent coverage and field of vision, combined with a good level of protection against impacts. Provides protection against UV radiation. 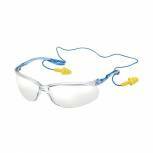 3M Tora CCS Safety Spectacles 71511-00000 Pack of 1 3M Tora CCS Safety Spectacles 71511-00000. Corded ear protection attachment. Perfect for workers intermittently exposed to noise. Clear polycarbonate lenses. Anti-scratch and anti-fog. Conform to EN166. Ear plugs available separately.